The IRS will approve an offer in compromise when the amount offered represents the most that the IRS can expect to collect within a reasonable period of time. However, the criteria for accepting an offer are strict and it is critical that you have an experienced tax attorney to ensure that your offer has the best possible chance of being accepted by the IRS. Is An Offer in Compromise An Option For Me? There are three grounds for submitting an offer in compromise: 1) doubt as to collectability; 2) effective tax administration; and 3) doubt as to liability. Doubt as to collectability. The vast majority of offers in compromise that are accepted by the IRS are based on doubt as to collectability. Doubt as to collectability exists when the taxpayer cannot pay the full amount of his or her tax liability before the amount of time the IRS is legally allowed to collect that debt runs out. The standard the IRS uses to determine whether an offer amount based on doubt as to collectability should be accepted is whether the amount offered is equal to or greater than the taxpayer’s “reasonable collection potential.” A taxpayer’s reasonable collection potential is determined by the IRS by using a specific formula that includes a combination of the equity of the taxpayer’s assets and the taxpayer’s ability to pay. Effective tax administration. Effective tax administration is based on the principal that paying the liability would create an unfair economic hardship on the taxpayer or would otherwise be unfair based on the taxpayer’s extenuating circumstances. Doubt as to liability. Offers based on doubt as to liability are only accepted by the IRS when there is sufficient dispute about whether the IRS has correctly determined the amount owed or has assessed the proper person. How Do I Approach An Offer in Compromise? 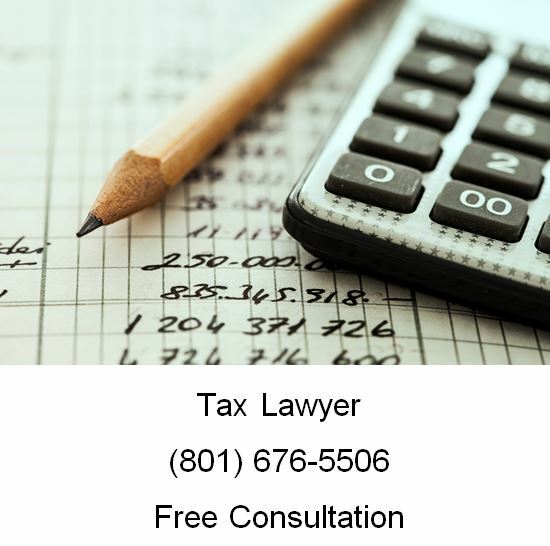 Taxpayers should speak with a qualified tax attorney about their circumstances prior to submitting an offer in compromise. The IRS accepts less than 25% of the offers it receives, and it is very important that taxpayers receive assistance in presenting their financials in a manner that would give them the most benefit. In addition, our tax lawyers will only recommend that you submit an offer in compromise if we believe you will be successful. This is one of the many reasons that our law firm has such an excellent track record in the offer in compromise process. If you are filing a Chapter 13 bankruptcy, you might qualify to get rid of (strip off or lien strip) your second mortgage. Lien Stripping is a Chapter 13 bankruptcy tool that allows people who are upside down (meaning your first mortgage exceeds the value of your house) on their house to get rid of their junior liens, such as second or third mortgages. Through this process, the bankruptcy court takes your second mortgage (which is secured by the house) and converts it to an unsecured debt and orders the lender to remove its lien from the property. Here is how it works: Assume you have a home valued at $300,000. There is a first mortgage for $325,000 and a second mortgage for $50,000. Because the senior lien (the first mortgage) exceeds the value of the property, any junior (second and third mortgages) liens can then be removed. The junior liens do not automatically go away. A motion has to be filed and a hearing scheduled to allow the junior lien holder to object if they believe the value is higher than the amount owing on the first mortgage. Once the court grants the motion to strip the lien, the debt is then treated as an unsecured debt in the bankruptcy and is paid pro rata like the rest of the unsecured debts (credit cards, medical, etc.). Then, for the length of your case (3-5 years) you don’t have to pay on the second mortgage. When the bankruptcy is discharged, the Order Stripping the Lien has to be recorded in the county recorder’s office in the county where the property is situated. If your case gets dismissed before you finish your case, the lien remains and you would be behind on your second mortgage. In those cases, many clients will then file another case and we can start the process of stripping the lien again. As long as the value of the home has not increased to more than the amount owing on the first mortgage, the lien strip will still be successful. Lien Stripping can only be done in a Chapter 13 bankruptcy case in the state of Utah.